My friend Clinton got married to his now beautiful wife about two weeks ago in South Africa on probably one of the hottest days I have ever worked in. I flew out to document the special day with them and really had a good time. It was hot, the location was beautiful, the friends and family were in plenty and the food was incredible. I have just arrived back from the trip out there and am carefully making sure that everything is backed up and safe and as always just going through them to get an image up to wish them the best as a new married couple. So this is what this post is for. Clinton and Shaan, thank you for including me in your perfect day. Here’s to the most happy years ahead together. Hey Marcus, thanks man for sharing our day with us and being a huge role in helping us to alway hold on to that special day that Shaan and I started our new life together as Husband and Wife. 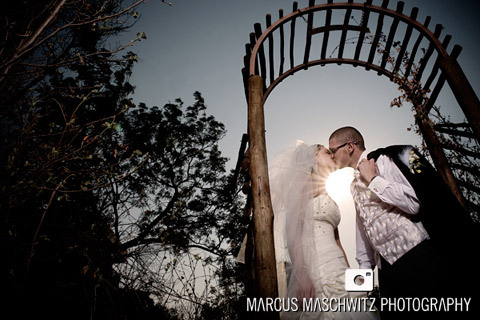 Marcus thank you capturing this special day – We cannot wait for the other photos but we will be patient. Hope you get better soon.